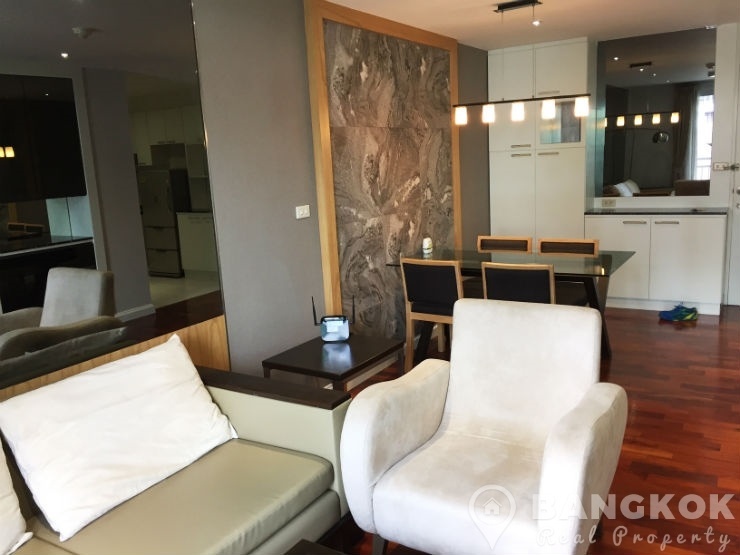 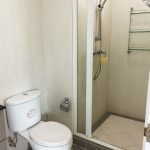 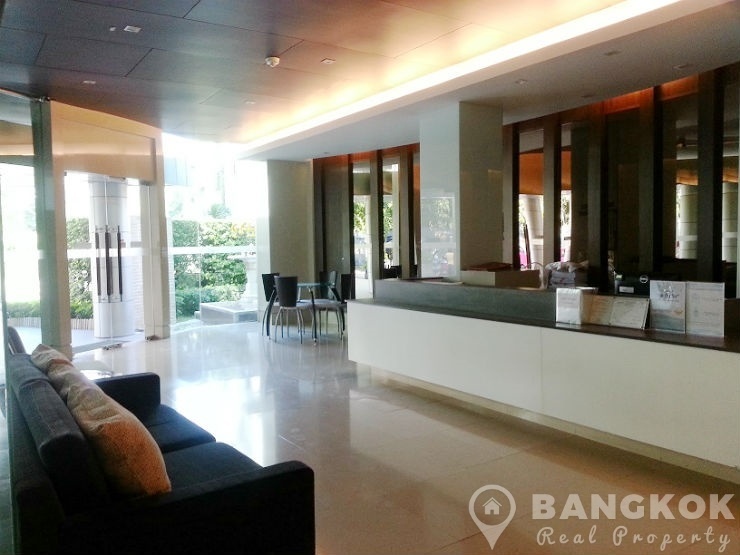 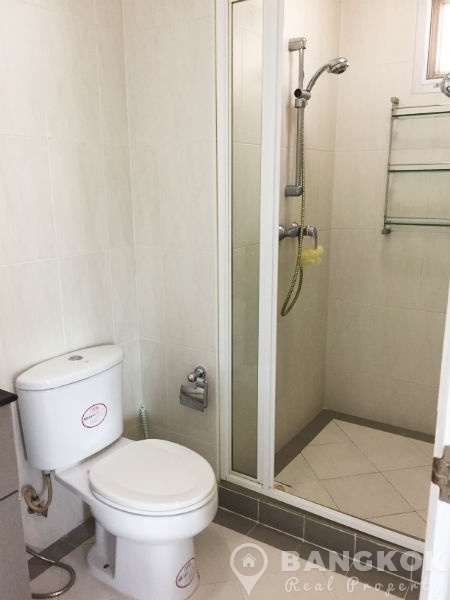 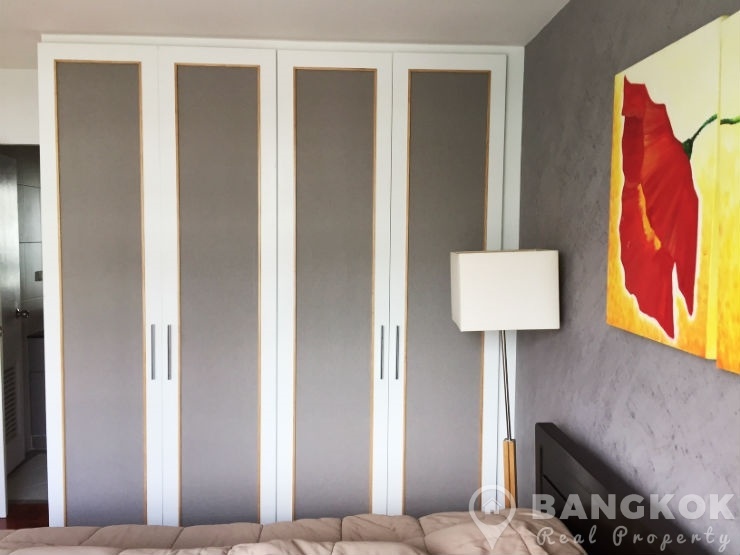 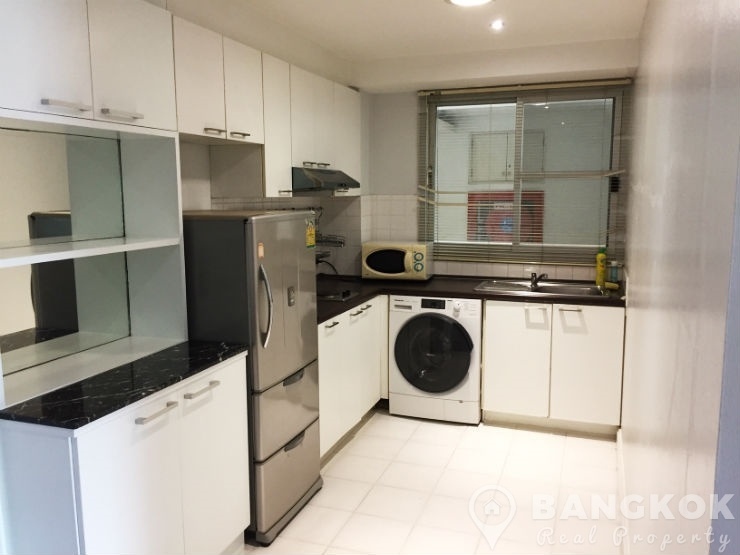 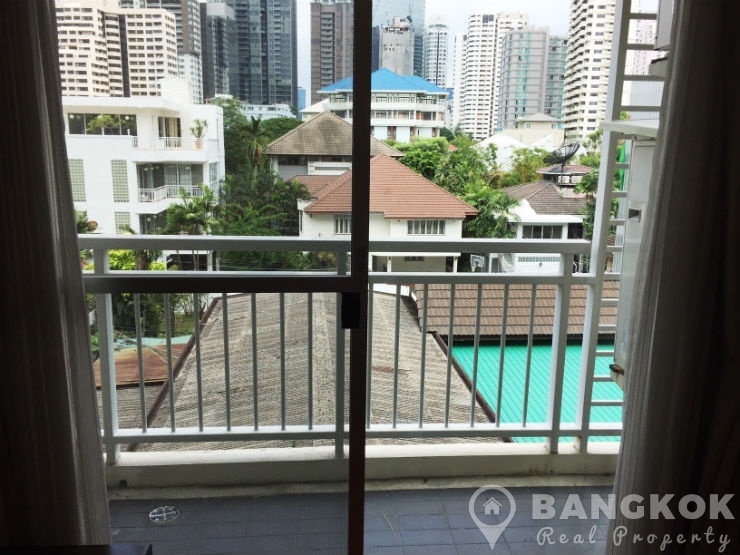 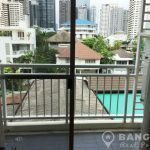 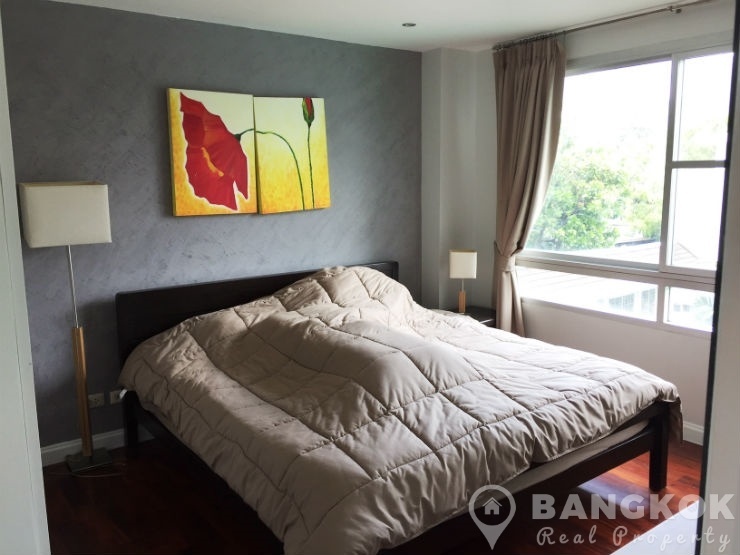 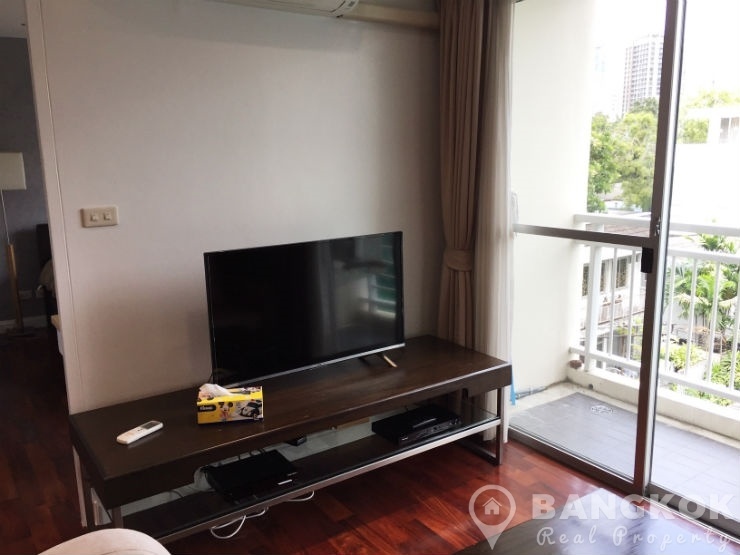 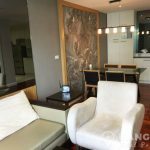 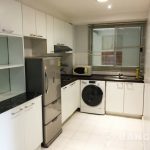 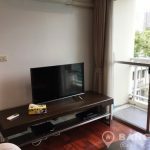 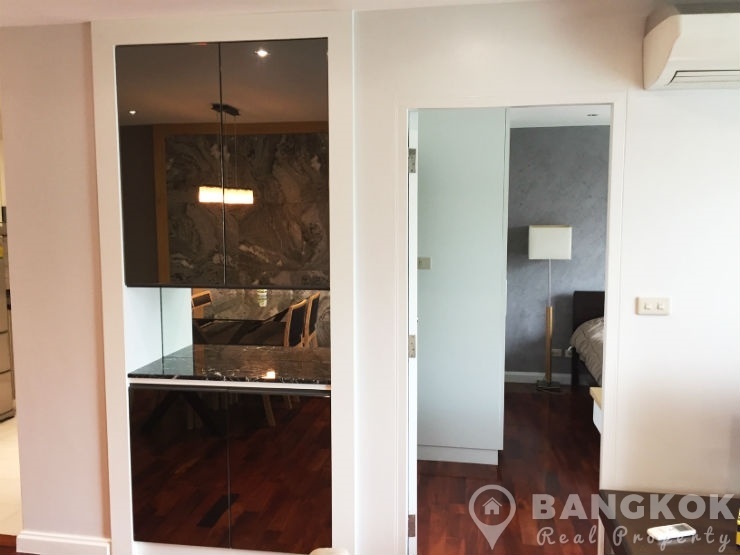 A modern, spacious 1 bedroom condo is now available to rent at 49 Plus ideally located in the heart of Sukhumvit in a quiet residential area. 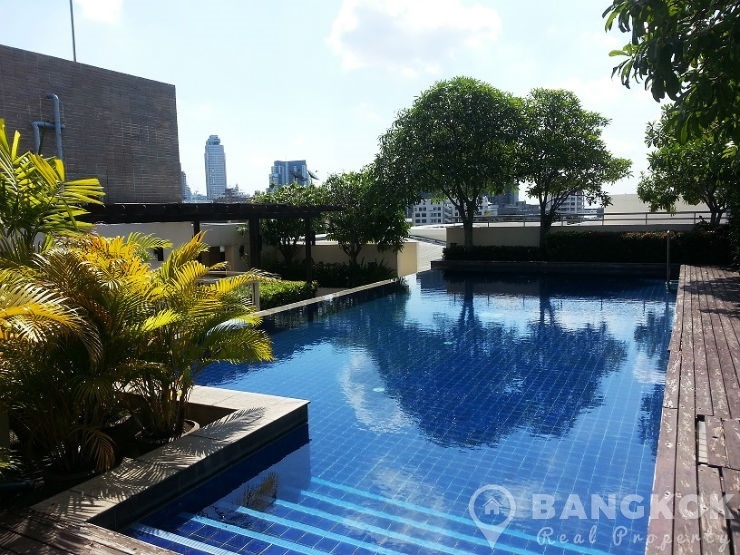 This low rise development by Sansiri offers residents access to Thong Lo and Phrom Phong BTS stations. 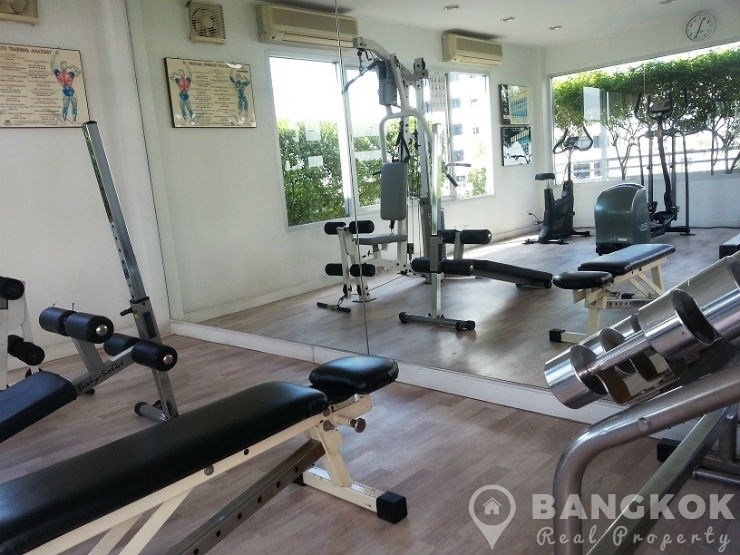 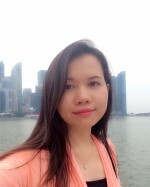 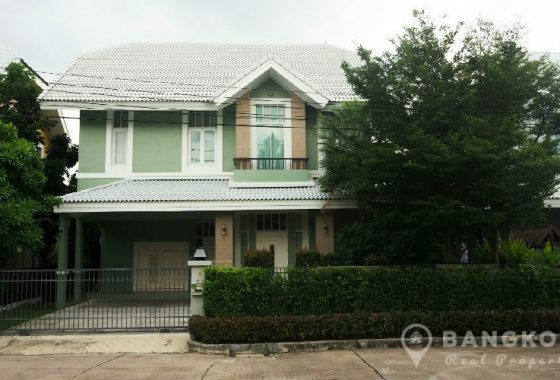 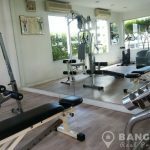 Located nearby also are EmQuartier, Terminal 21, UFM Fuji Super, Villa Market, Benchasiri Park and several top schools including the American School of Bangkok. 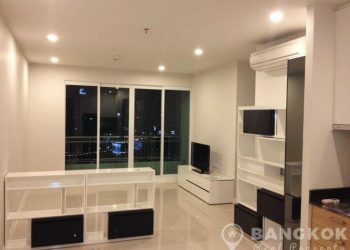 Situated on a high floor of 49 Plus this spacious condo has 1 bedrooms, 1 modern bathroom and generous living space with 50 sq.m and a balcony. 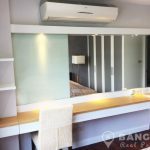 The unit comes fully furnished with wooden floors, separate kitchen with built in units, electric hob & extractor fan, microwave, fridge-freezer and washing machine. 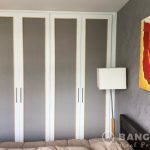 49 Plus is a condominium project located on Sukhumvit 49 in the heart of Thonglor and just within easy reach of both Thong Lo and Phrom Phong BTS Stations. 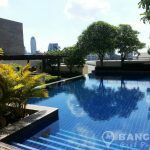 Completed in 2005 by Sansiri, 49 Plus is a low rise project consisting of a single building with 9 floors with a total of just 77 units.